Boulder, Colorado-based Zeal Optics recently announced that it was releasing the world’s first plant-based sunglass lens, the e-llume, made from castor bean oil. 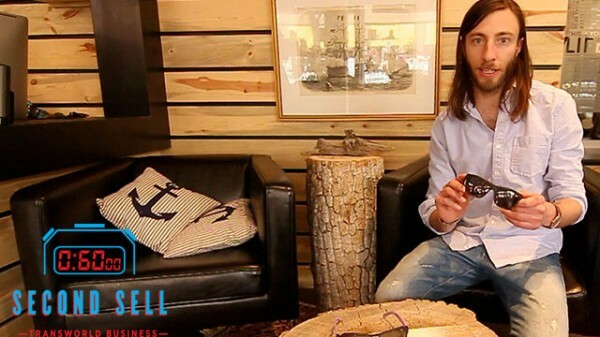 Transworld Business had the chance to catch up with Zeal Director of Marketing Joe Prebich to learn more about the technology and plans to implement it throughout Zeal’s line. Where did the idea for this come from and how did you develop this technology? At ZEAL we are always looking for ways to incorporate more and more sustainable practices into our brand. We really focus on building products with a purpose for the eyewear industry. We are dedicated to building from the ground up a handcrafted piece that really is about more than just sunglasses. It pays homage to the art of creating eyewear and the fun that innovation inspires. Can you quantify how much less of an impact these lenses have on the environment compared to a traditional lens? Traditional lenses use crude oil in their production. The environmental impact of crude oil is extremely damaging and anything we can do to lessen the use of it, the better. Our lenses replace crude oil with plant-based oil that is a renewable and sustainable resource. It’s truly an amazing process. And it’s not just about being eco, this is actually a much higher quality lens. The castor oil has a higher purity than petroleum oil can reach, so that the result is the most eco friendly lens in the world with an unmatched optical clarity. How much of your line will feature these and how do they affect the MSRP? 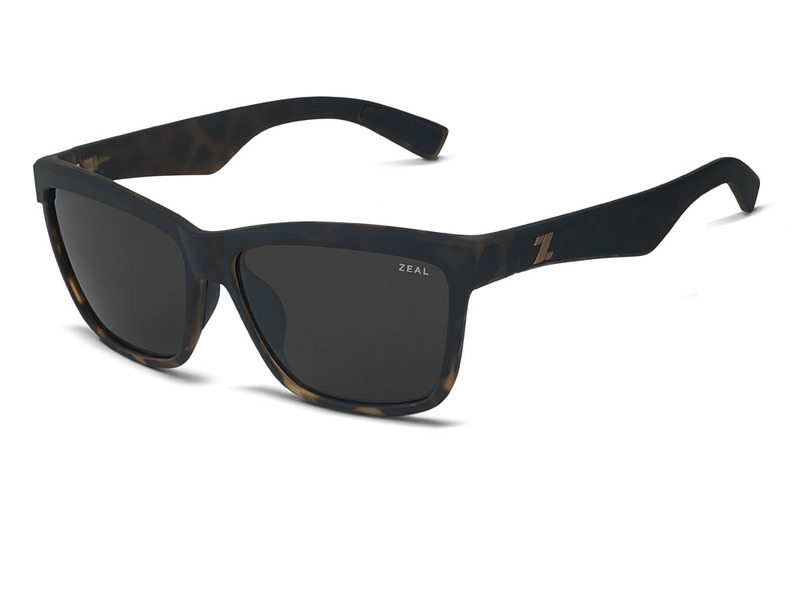 Currently it is featured in two new active shapes, the Kennedy and Tofino, but we will be adding it to every ZEAL sunglass by the end of the year. The MSRP doesn’t change due to the new lens, which is something we worked really hard to achieve, enabling more people to experience the brand and invest in a product with a purpose. So next year’s shades will all feature e-llume? Yes, e-llume will be available in every frame by January. We don’t do “kind of eco.” Lots of companies out there will put out a “green line” but that is like recycling on Monday but not on Friday. We really live this. Every piece is built from plants. Every one. Not a few here and a few there. We are proud to be leading this charge into reducing our environmental impact without ever sacrificing quality. People often overlook that our lens might be the world’s greenest, but it also is the clearest of any lens in the action sports market – with an abbe value of 38, our lens provides a clarity like no other. Is it possible to use this technology for your goggles? We are looking into it right now to try and add as much into the product line up as we can, without sacrificing quality. We need to make sure that the quality that we have become known for as a premium brand isn’t compromised. We only bring something to market when we know that we can have a positive affect on both quality and environment. What else is in the pipeline as far as sustainably-focused products? We have some incredible products that will be coming out later this summer. Let’s just say they are unlike anything ever seen before. We have partnered with some of the leading minds to really think outside the box. It’s an exciting time for innovation and ZEAL breeds a culture of creating unique products that define the brand. How has the feedback been from retailers on this project? Incredible. The retail environment is all about telling stories and how brands define themselves. Creating this type of lens has been something that no one has been able to do and so for ZEAL it helps to really define us. It introduces us to a totally new consumer base that isn’t able to get this type of product from any other brand in the market. What will you be doing to tell this story through marketing and at point of sale? We are really focusing on custom POP with individual accounts. We don’t dictate a corporate marketing edict to our retailers, instead we work with them on a person to person basis to really ensure that each storefront has the tools they need to tell our story. For some it is custom windows, for others it is training, so we listen to their needs and follow up to ensure that each one has the tools they need to sell through this summer. I'm digging the shades. How much are they going to run once they're released?